This is my one hundredth article for “Leigh Spence is Dancing with the Gatekeepers,” probably the best blog title in the world, and I thank you all for reading what began as a weekly writing exercise in May 2016. I must have written at least sixty thousand words since then but, perhaps more importantly, sales of the “Daily Mail” newspaper fell by over two hundred thousand copies in that time. I know these figures are not related, but I have more to say about this later. What I love about writing is the process, the build-up, the formation of an idea. This usually culminates in a frenzy of typing at the last possible moment, like this one has, especially if the ideas came later. For months, I assumed trying to equate the outlandish nature of the current political climate with Dadaist performance art did not work out, leaving me with lessons for next time, but that article, using a quote from Alfred Jarry’s absurdist play “Ubu Roi” – “That’s a beautiful speech, but nobody’s listening” – has become the most popular article so far. Other moments of apparent madness included making blue pyramids of Quorn, making the food more attractive to children’ the assertion that “ain’t” is a proper word that adds punch to song lyrics; that our old family car, an Austin Ambassador with a brown interior, is now one of the rarest production cars in Britain; that people build super-basements so they no longer have to go out; that there are many types of Range Rover to help those that identify as Range Rover drivers, so they can live their life the way they feel; and that Donald Trump is the first world leader to restrict his own ability to speak, rather than restrict his own people. When there is always a next time, ideas come freely. But what if time is running out? With endless space online, and a curious brain that won’t shut up, my writing has no reason to cease, but what if I was a newspaper, speaking with a one-track mind, in a country where newspaper sell fewer copies than ever? 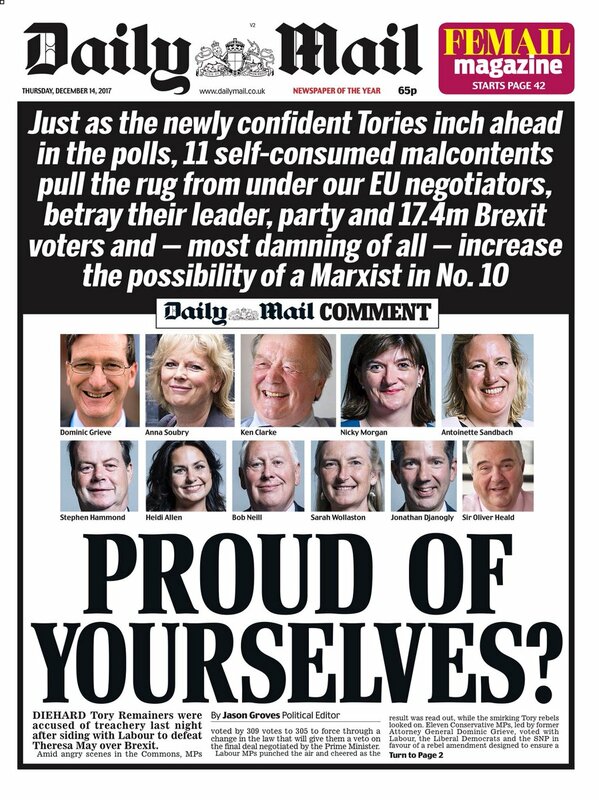 The world knows “Daily Mail” as the most-read news website in the English, with a very showbiz-led mix on its brightly coloured front page, but UK residents also know it as a very conservative, populist newspaper that makes many people want to spit – you can buy t-shirts and badges saying, “I’m the one the Daily Mail warned you about”. It began in 1896, but its current form evolved in 1971, when the seriously-minded broadsheet “Mail” was merged with a more populist tabloid paper, the “Daily Sketch,” with “Sketch” staff effectively taking over the new compact “Mail,” building a fiercely confident, conservative voice that, within a few years, overturned fifty years of the “Daily Express” beating it at its own game – the “Mail” now sells as much as the “Express,” “Daily Mirror” and “Daily Star” put together. So why did I mention the “Mail’s” sales had fallen? Looking at figures quoted by the “Press Gazette” website, its circulation peaked at 2.59 million copies in September 2001. By February 2018, that figure halved to 1.34 million, down eleven percent on the previous year. 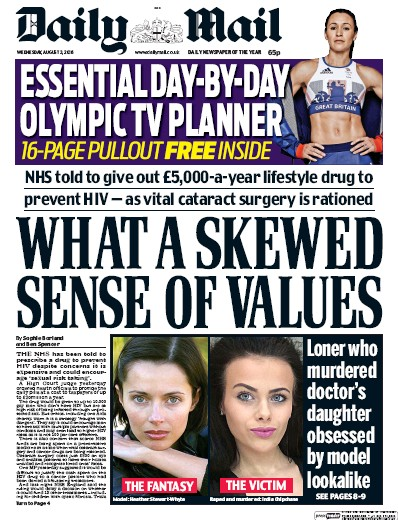 The global shift to online put printed newspapers into decline, and when Mail Online effectively gives you the same content for free, why bother with the “Daily Mail” at all? After reading it for the last month, I wish I knew. 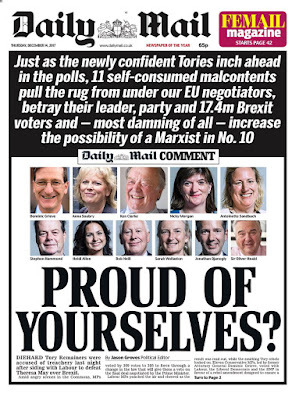 I consider myself to be politically in the centre, but I am definitely to the left of the “Mail.” It reads like a magazine, using many double-page spreads of stories and opinion pieces in high-contrast black on white type, bellowing its points down to the reader in length and in depth. Using these pages to brand Labour Party leader Jeremy Corbyn an informant to a Communist spy, and ex-Formula One boss Max Mosley as much of a racist as his father, everyone with connections to them are also scrutinised and judged for their reactions, and the BBC is criticised for not covering either of the stories at the same length – when Mosley didn’t reply how the “Mail” wanted, the next day’s headline was “STILL HE WON’T APOLOGISE.” Based on what was printed, both Corbyn and Mosley have some questions to answer, but the “Mail” has already found them guilty as hell, let alone guilty as charged, and any raising of their voices is a threat to a free press. 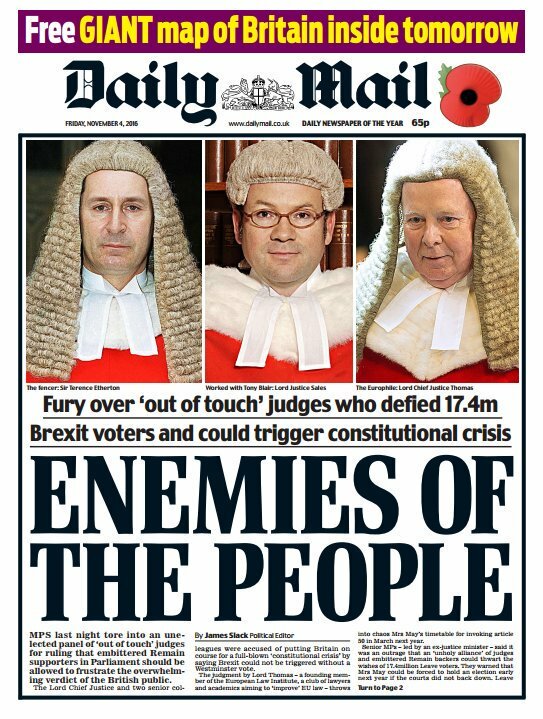 I think the “Mail” gets off on hearing itself rage. If the “Mail” were a person, I would run away. 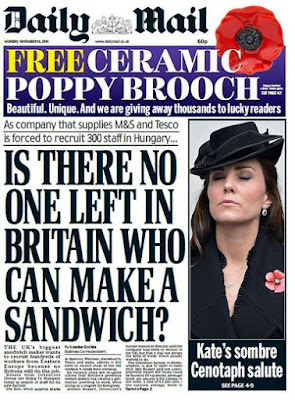 The last months of screaming words has been overwhelming, the spectacle of the Metropolitan liberal elite being lambasted by the Metropolitan conservative elite seemed like an ironic and pointless bonfire, as the “Mail’s” sales continue to fall – Mail Online hides many of the double-page spreads under a link to “Columnists,” leaving the bigger stories to generate views and revenue. For all the outrage over the content of the “Daily Mail” as a newspaper, for how it currently uses acres of paper to tell us to stop using plastic, and for all the advertising boycotts by Lego, Paperchase and Center Parcs, there remains one thing: the figures show the newspaper is dying anyway. 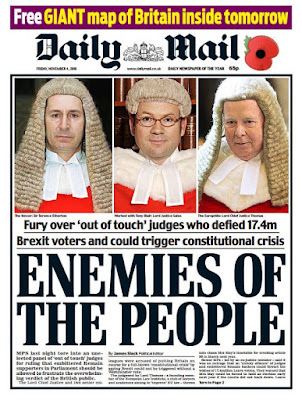 Unless the website can support it when printing on paper is too unprofitable to continue, we will live to see the end of the “Daily Mail” – it will happen, it will absolutely happen. One day, just as in the dream that gave me the name for this blog, I may turn “Leigh Spence is Dancing with the Gatekeepers” into an album, where I will yell at those that tell you what to think, singing “all they have are words” until fadeout. I don’t know if that will be in the next hundred articles, but I will see where my mind takes me.